Looking for a sweet and spicy meal idea that won’t break the bank? 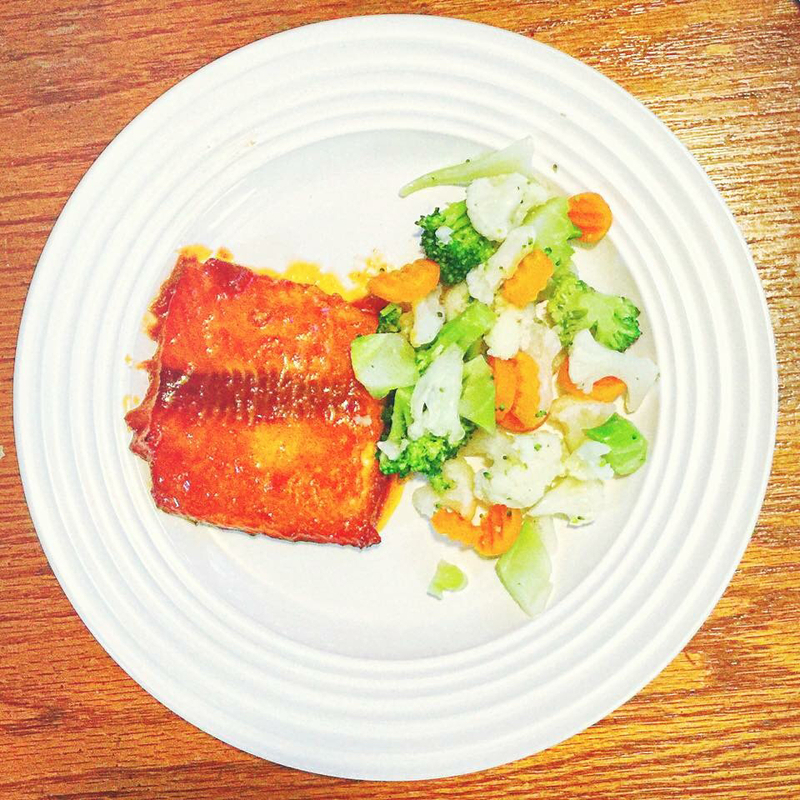 Give this recipe for Alaskan salmon with a honey sriracha glaze a try. Mix all of the ingredients for the honey sriracha glaze together in a bowl. Place Salmon fillets on a greased foil-lined baking sheet. Spoon honey sriracha glaze over salmon fillets. Bake fillets uncovered approximately 20-30 minutes at 400°F or until salmon flakes with a fork. Spoon any glaze that has cooked off back on top of the salmon during the last 5 minutes of cook time. Remove from oven and allow to cool approximately 5 minutes or until glaze begins to set before serving. Plate with a serving of California medley mixed vegetables. Shopping and dining in Garrettsville keeps your money right here in your community. The recipe above can be prepared with affordable ingredients sourced from Sky Plaza IGA and Save A Lot. Have a recipe you’d like to share? Let us know on our Facebook page.